High pressure in the lungs, or pulmonary hypertension, is most commonly due to smoking-related lung disease and conditions affecting the left heart, for example, high blood pressure in the arteries, faulty heart valves, and a weakened heart muscle. Pulmonary arterial hypertension (PAH), is a rare and complex disease, associated with many different medical conditions, which is caused by a growth of cells lining the inside of the lung arteries, resulting in high pressure in areas of the body. Both conditions lead to strain and potential failure of the right heart, and therefore awareness and early diagnosis of the condition is needed to lead to better outcomes: however this depends on education of all specialists and primary care clinicians about PAH. 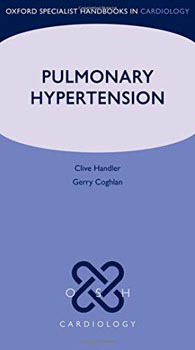 This practical handbook covers both PH and PAH, providing information required by the wide range of clinicians who will encounter these conditions, including cardiologists, respiratory physicians, rheumatologists, specialists in liver and AIDS medicine, and hematologists. It covers what it is, who it is likely to affect, how it is diagnosed, including the pitfalls of the various diagnostic tests, the different and evolving forms of treatment, long term management of this often devastating chronic disease, and the crucial role of multidisciplinary management in optimizing clinical care of these patients who usually have multi-system diseases. It also covers the up new classification for both PH and PAH, and new drugs that have recently become available.